Bauer & Knowles – Untitled #1 Polycarbonate privacy filter for iPhone screen with copper leaf on Mylar. Lorna Bauer and Jon Knowles also present a montage, in this case as a stacking or layering. Indeed it is the layering that is the essence of what is displayed. Whereas the transparent, reflecting, moiré or iridescent surfaces offer the subtle inflections of a quasi-monochrome, it is nonetheless the idea of contact that takes center stage. I imagine the assembly procedure employed by the artists. It begins with unpacking iPhone screen privacy filters, followed by laying out copper leaf on a work table. The protective film is removed from the privacy filters to expose the adhesive surfaces. The thin copper sheets are laid on the screen filters, then removed to leave a random and organic mass. The tearing of the leaf is partially controlled by the artists hands, partially controlled by the static build up and chemical compositions of the copper, glue and polycarbonate plastic. Finally, the plastic filter is turned over onto a sheet of translucent acetate where the remaining exposed glue seals the parts together. The procedure brings together raw materials and consumer products. 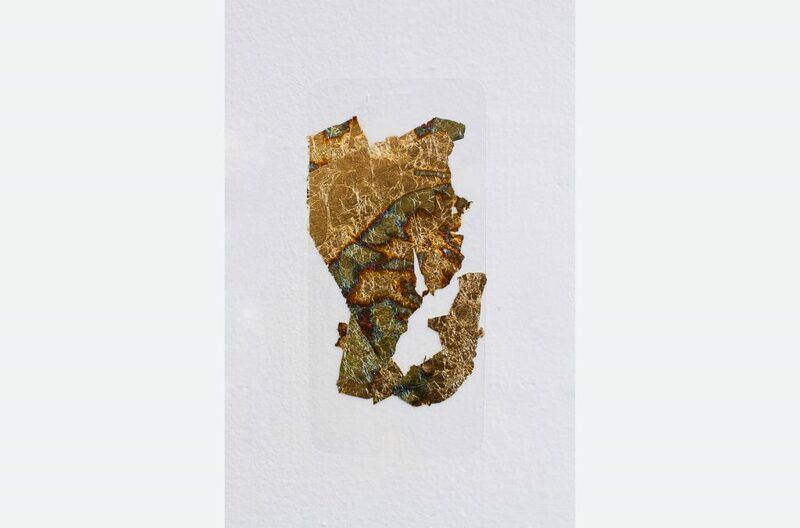 Obliquely, the copper leaf references valuable metals in a scrapyard, salvaged from buildings and functional objects. Obliquely, the faceted filter obscures the object. The prepared collages of Annie Descôteaux and Vincent Gagnon evoke another kind of puzzle, one where it is not apparent if it is completed or if its pieces still require assembly. 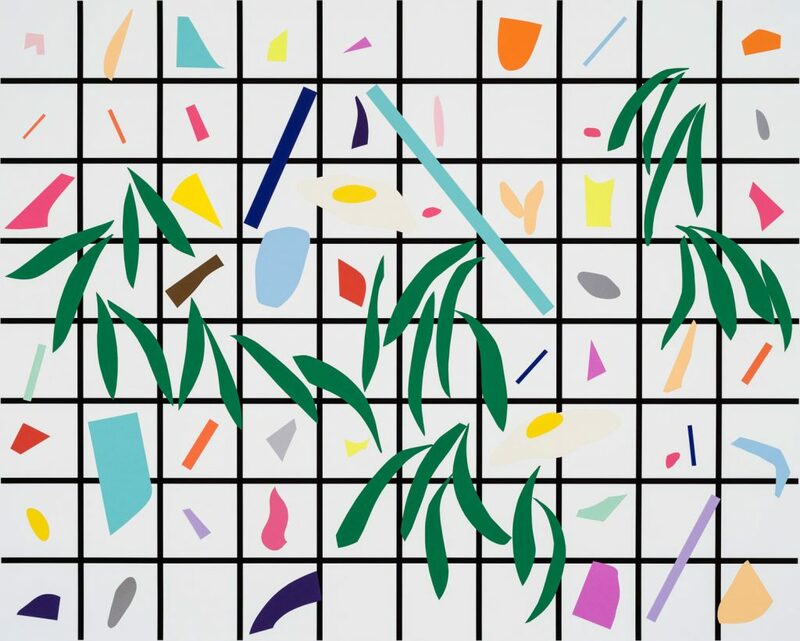 For Effet de serre, Annie Descôteaux asked Vincent Gagnon to create digital drawings of grids. 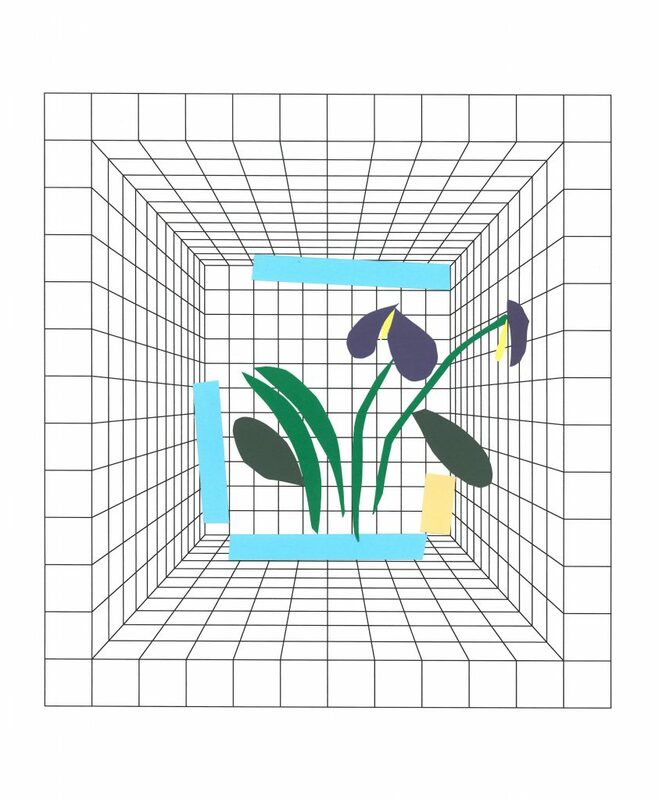 These suggest first a modernist interior, an exhibition white cube, a bathroom, a sauna, an elastic virtual space and, by way of the collaged plants, the greenhouse and solarium of the title. Is this space bulging up? Is it caving in on us? Are we in our own sepulchre, where someone laid flowers? Or are we simply lying in a chaise-longue, basking in luxury and calm? Produced in a series, the collages clearly show the input of two separate artists. They appear mass produced, even as their delicacy and fragility and the almost absurd quality of their arrangement undercut this idea. The generic white space becomes a container for the bursts of pure color that explode in the air or rest on the ground. With precision and a reduced vocabulary, both collaged elements and rectilinear space contribute magnificently to an illusory or Albertian space while at the very same time insisting on its artificiality and planar decorative quality. What lies beyond this greenhouse? 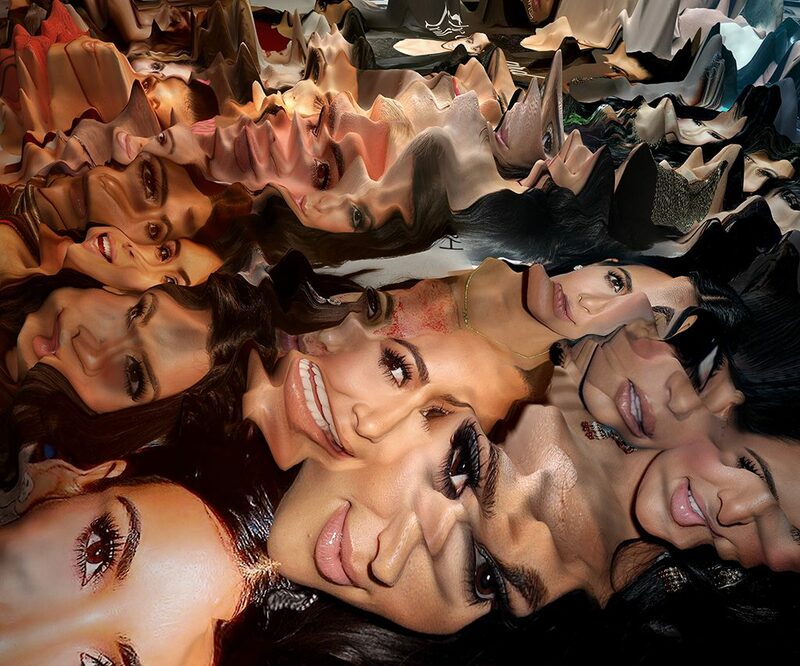 With Perfect Skin IV, Dominique Sirois and Gregory Chatonsky continue a series on the deployed plasticity of Kim Kardashian’s face, mapped unto an algorithmic landscape. 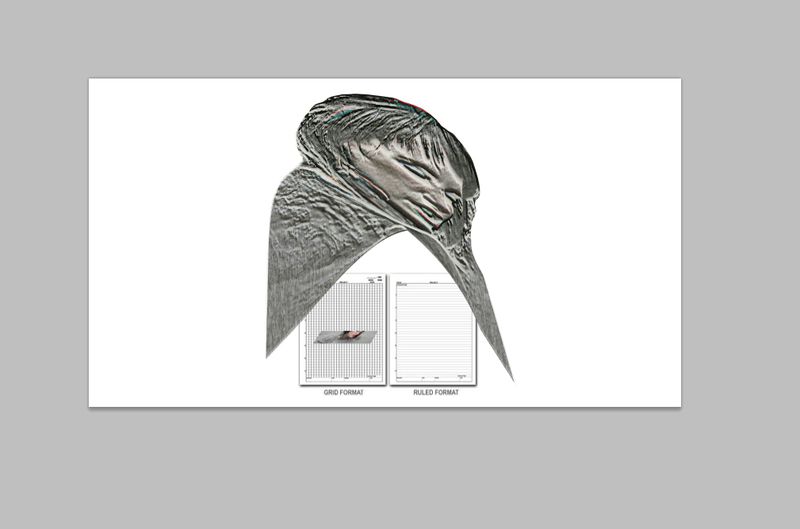 The accumulation of skins from an archive of digital images is stretched on the synthetic and hilly terrain. Flattened, fixed, divided, the image is then reproduced on a series of ceramic tiles. These tiles are then each displayed on tabletop tripod stands for iPads. Finally, a colorless ceramic piece, this one with the imprint of architecture, is placed on the edge of the tile. It is textured, fissured. It sags like an inert silicone mask. The piece establishes a push and pull between the image and its support, between skin and bone. Moreover, the work details three modes of production: the found object in the form of the iPad stand as a commodity, the crafted object in the form of the white ceramic piece, and the prosumer (one who both produces and consumes media) object in the form of the ceramic tile where the artists have hijacked a fabrication method usually employed for advertising to produce something unusual. Through these methods of representation (images, textures, commodities), it is in fact the production of the body, physical and virtual, that is brought into play in its relation to images and objects. 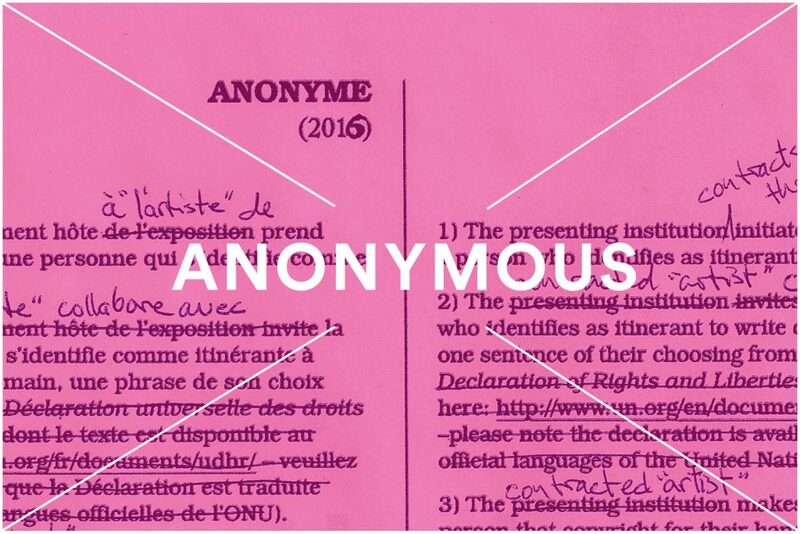 One artist and her collaborator have chosen to remain anonymous in their response to the invitation by Partage Montréal. The work is a variation on an instruction piece initially written for the exhibition do it Montréal at Galerie de l’UQAM. The proposition consists of inviting a person self-identifying as homeless to work from the text of the Quebec Charter of Human Rights and Freedoms passed by the National Assembly of Quebec in June 1975. The project consists of choosing an article from the Charter, reproducing it by hand, and distributing it widely in the public space. In this case, an advertising space in the street magazine L’Itinéraire was reserved for the text, which will be published in the March 15 2016 edition. The artist will insert a sewing thread in 30 copies of that issue, for distribution to the Partage subscribers. By occupying an advertising space, the work to an extent bypasses the valuation of a precious, unique or rare object. The project addresses the notion of misappropriation, and even of theft, under the cover of anonymity. The production budget for the work was almost entirely passed on to L’Itinéraire (which also gave us a good rate on the advertising space) and to a shelter that has housed the artist’s collaborator. The back-and-forth of plasticity and pictoriality also feed Trépanier-Voghell’s work. Here, 2D and 3D shapes are delaminated, extruded from one another. They fit and nest within one another as puzzle pieces. Through a set of correspondences, understood as both formal associations and a system of exchange and communication, the artists produced 3D prints that index the intersection of many images, forms or silhouettes. The roughly cubical forms of these prototypes present the remains of these images in intersecting negative space. 2D prints on paper, folded and delivered in envelopes, provide a context for the 3D prototypes. 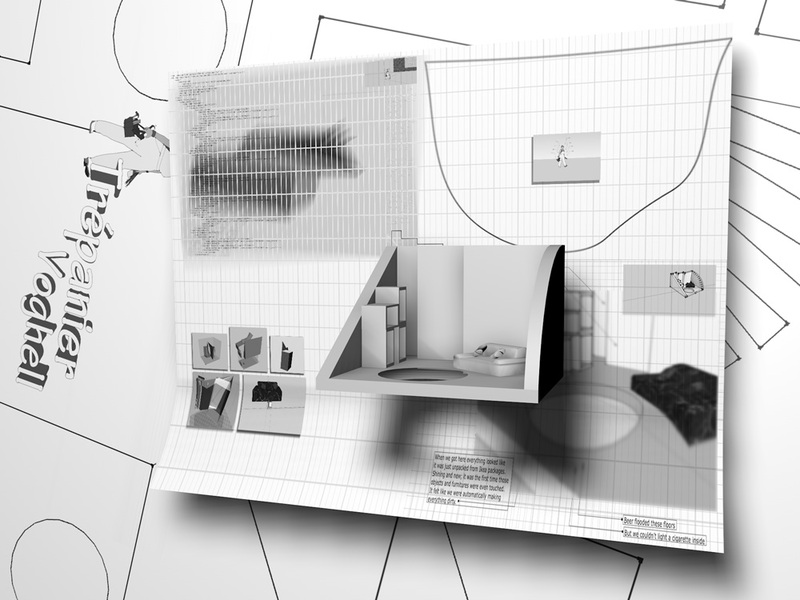 Like architectural plans, these loose sheets become keys to decipher the tridimensional object. They allow us to reverse engineer it. The free play of associations and correspondence within a stock of images is intuitive and connotes a quasi-infinite number of permutations, reversals and prospective designs. The nature of the prints, as plan and prototype, suggests a scope that could place Surrélévation d’une villa controuvée on any scale, in any place. Gagosian Gallery / Philadelphia Musuem of Art reconsiders two photographs initially taken independently in the context of individual projects. The two images are characteristic of Jo-Anne Balcaen and David K. Ross’s respective interests in art institutions and their mechanisms of display. Beyond the formal resonance found in the arrangement of the two photographs, the assembly or montage of these images draws our attention to elusive elements at the limit of materiality. The steam emanating from the roof of the Philadelphia Museum of Art and the light bars reflected on the floor of the Gagosian Gallery both allude to infrastructure essential to the orderly functioning of the institutions. If, in the first case, one thinks of the temperature and humidity regulation systems of the museum, in the second case we are rather encouraged to reflect on what renders the works in the renowned private gallery visible and viewed. The two examples each speak of a system of valorization; one by means of accumulation and preservation, the other through the method of vision and distribution of images (the gallery lights being a key element of the photographic documentation of art and exhibitions). The parallel proposals, now juxtaposed, suggest a continuity or circularity from on moment to the next, from one building the next. Étienne Tremblay-Tardif combines his activity in visual arts with teaching, research, writing and intermittent curatorial work. He holds a BA degree in Art History and Film Studies (Université de Montréal, 2006), a BFA in Studio Arts (Concordia University, 2009) and an MFA degree in Studio Arts (Concordia University, 2013). His university studies are bracketed and marked by two important student movements (2005 and 2012 student strikes). Between 2009 and 2014 he was actively involved in the artist-run centers network, notaby through the renewal of Arprim, a center dedicated to contemporary print media. His current work and research deals with text-image relationships, architecture and the built environment, display apparatuses, print in social space, material culture, critical theory and installation practices in contemporary art. 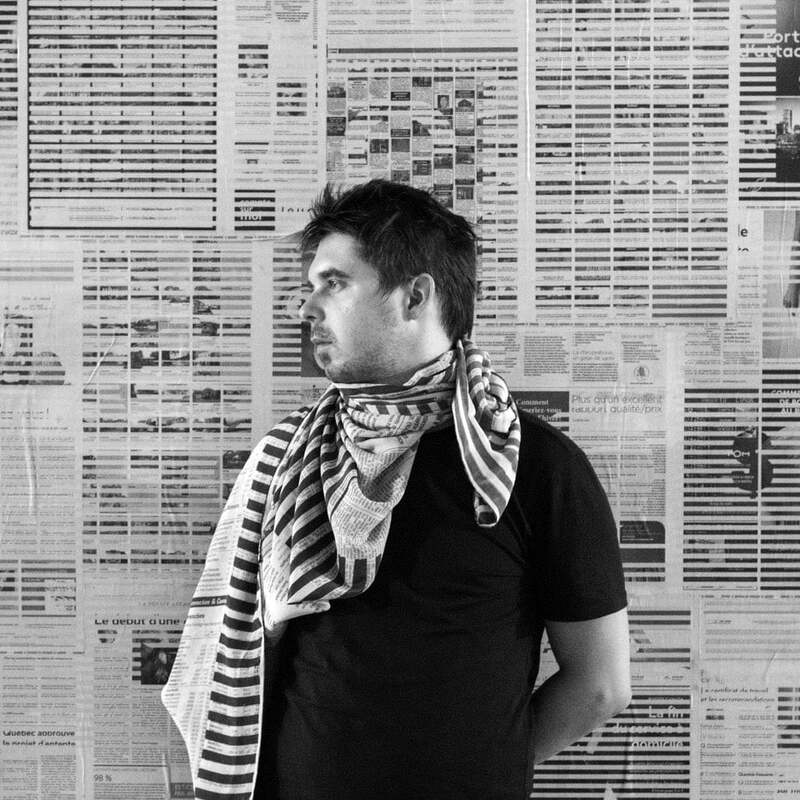 His past projects include Signage Matrix for Turcot Interchange Refection (Biennale de Montréal, Musée d’art contemporain de Montréal, 2014), Société-écran/out of business (Occurrence, 2014), Fonction publique (AXENÉO7, 2013), Bookworms (Arprim, 2012) and Hôpital-Maxime-le-Jaune (Symposium international d’art contemporain de Baie-Saint-Paul, 2012). The selection of the six pairs of artists Collection Season 2 is now completed and the work has begun. The works will be delivered to subscribers in less than two months. The last pair of collaborators will remain anonymous. 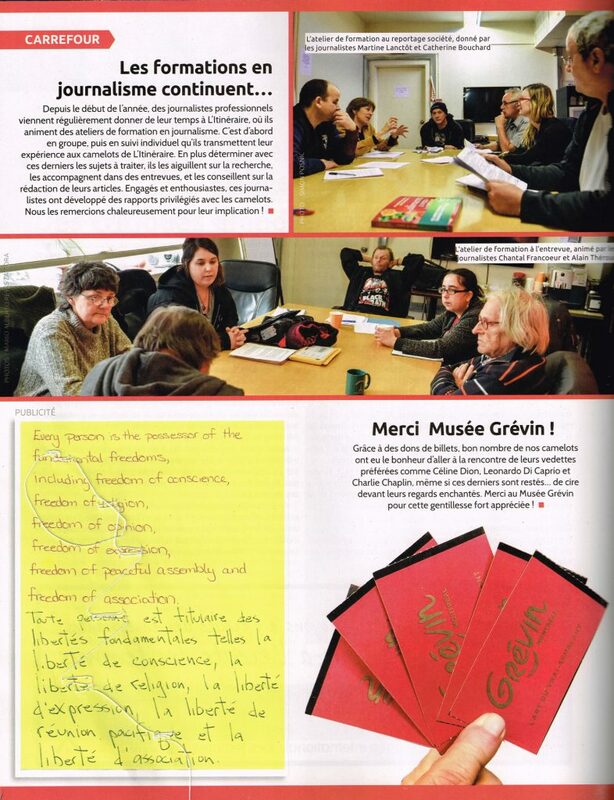 These anonymous collaborators will prepare a calligraphy based on an article of the Charter of Rights and Freedoms. The manuscript will be circulated in the public sphere, including advertising space in a Quebec magazine. A limited edition series of 30 magazines will be provided to Montreal Sharing subscribers. This will be Partage Montreal’s first forage into work that directly addresses social issues in our community. Lorna Bauer and Jon Knowles pose another question by looking at the protocols of production and circulation as they pertain to working as a duo. This may mean: divided images, odd, different, or recurring. Dominique Sirois and Gregory Chatonsky have seized the opportunity to create ceramics based on a topographic relief produced from the face of Kim Kardashian. The Trépanier – Voghell pair will also emphasize the sculptural object in its relation to the surface and the medium through the use of the scrap and negative space. Annie Descôteaux and Vincent Gagnon will share the roles using prints of digital images created by Vincent Gagnon, Annie Descôteaux will make series of collages. Jo-Anne Balcaen and David K. Ross will depict their common interest to the exhibition spaces and the art world through the diptych. Even if the final images are not as I describe, we will not have to wait long to see the finished work, I am grateful to the all artists for the generosity of their proposals and I admire the range of ideas, techniques, and resources deployed by twelve artists for Partage Montreal‘s 2nd Season. I cannot tell you how excited I am to see the finished works! 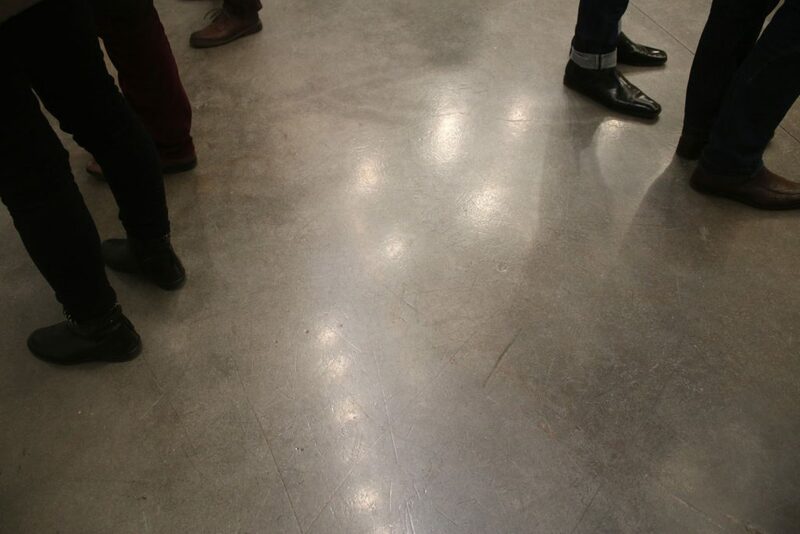 Jon Knowles has presented solo exhibitions in Canada. 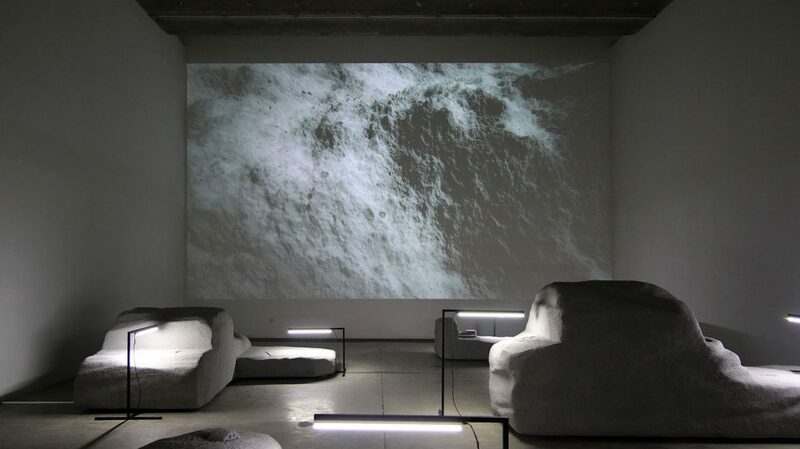 He has participated in group exhibitions in Montréal, Düsseldorf, Dundee Scotland, and Halifax. Lorna Bauer was born in Toronto and lives and works in Montreal. Bauer has exhibited in many national art institutions and participated in artistic residencies in New York and Paris. Bauer is represented by Nicolas Robert Gallery in Montreal. Trépanier-Voghell is the creative duo formed by artists Anne-Marie Trépanier and Mégane Voghell. Located on the margins of their individual practices, this collaboration is dedicated to the exploration of information processing via hypermedia and digital technology. Annie Descôteaux practice focuses on the connection between art and design, and her work explores bold, simple forms, as well as historic and cultural references through collage and installation. Vincent Gagnon is a graduate of l’École des Métiers du Sud-Ouest de Montréal in Building Design. Since February 2015 he has worked for the Montreal engineering firm NCK. Jo-Anne Balcaen‘s art practice extends across a variety of media including sculpture, photo, video, and text, bringing together references as diverse as popular culture, music, and cultural management. David K. Ross‘s investigations with photography, film and installation examine the performative capacities of un-choreographed and un-scripted activities.